Officially, 9th grade was high school, though we were still housed in the junior high educomplex. With it came the start of a long, slow climb upward. For one, my P.E. class no longer took place in an actual pit. True, moving on to the main gym also meant the shame of the public shower, at least until a case of plantar warts brought with it the temporary reprieve of a doctor’s note. 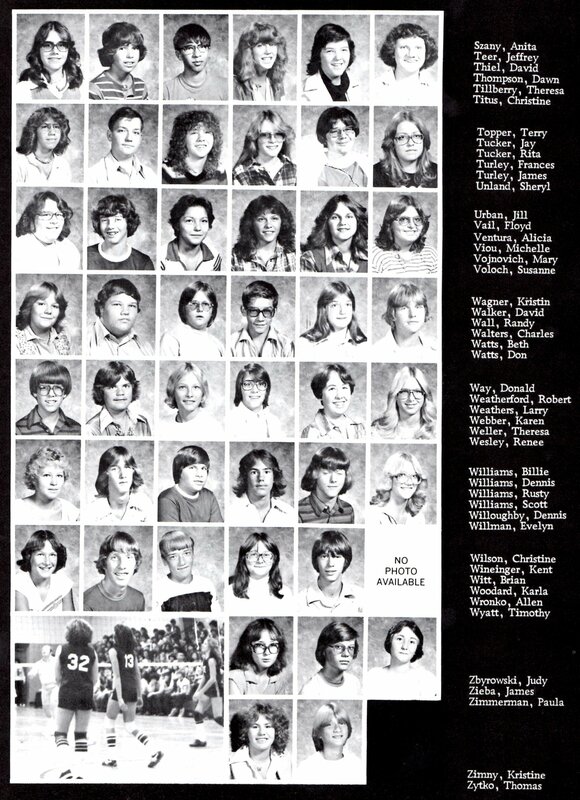 One thing I’ve found looking back through these yearbooks is that I had little involvement in school life outside of class. 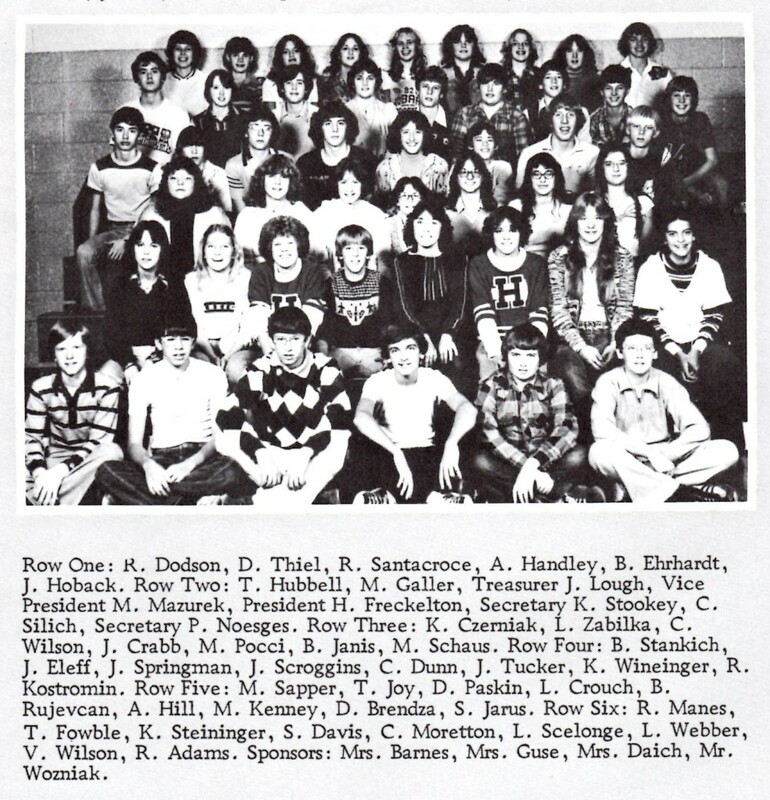 The only group to which I belonged was Honor Society. Changes were coming, two of which were particularly significant. First was that I began to notice girls. Okay, that’s not quite true; I’d been noticing them since kindergarten. But it was around this time that I developed that most painful of childhood maladies, the unrequited crush. There are four in the above photo alone; I always had a thing for smart girls. With my lacking social skills, appalling dress sense, unimpressive physique and bouts of pizza-face, I counted myself fortunate to get as far as the “friend zone.” And that is where I stayed; I never dated for reals until after I graduated high school. With ideals of movie romances dancing in my fevered brain, I spent the next several years dreaming from an insurmountable distance. The second big change was that I began to find some purpose, courtesy of the prodigiously mustached speech teacher Mr. Leach. Despite or more likely because of my shyness, I loved speech class. One of the most satisfying days of my life was when I realized that I could get people to laugh with me. I raided my dad’s record collection for comedy material, performing one of Bob Newhart’s classic telephone routines. Even there I occasionally stumbled. One day I attempted a drunk act most likely inspired by Foster Brooks, and it took an unearned round of applause to get me to stop. Still, it was here that I discovered the joy of public performance, and it has served me well to this day.